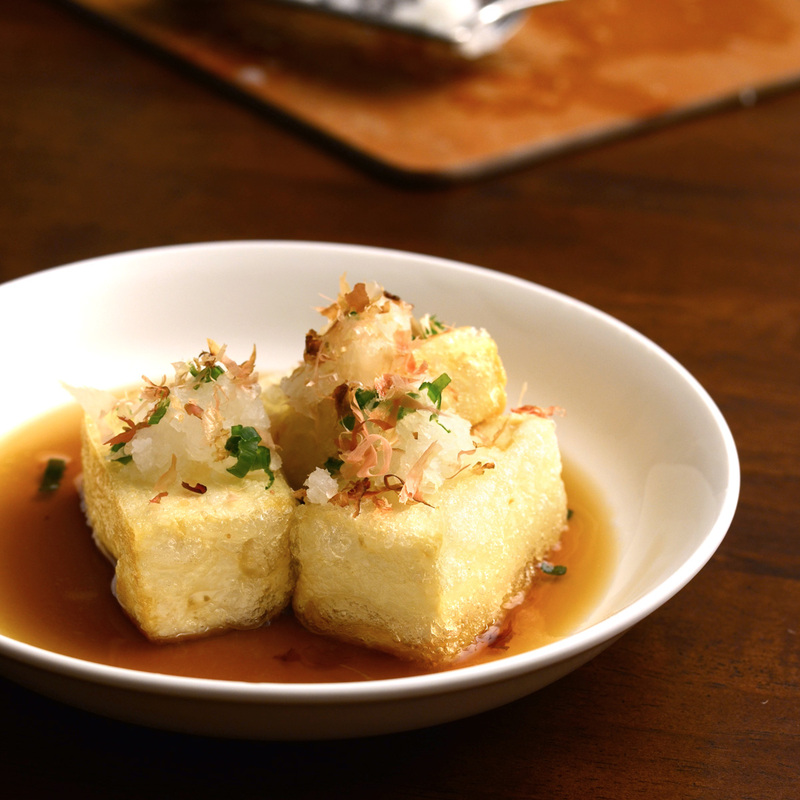 This dish is something I’ve occasionally tried as an appetizer at Japanese restaurants and it always leaves me craving more! So I decided to make it at home. It has a nice and light vinegary smell to it, with great crunch. This dish is called sunomono, and it’s a super simple salad made with cucumbers that you can just throw together right before a meal. I keep everything for this recipe stocked in the pantry, so all I have to do is find some cucumbers and I’m good to go! The regular cucumbers you’ll find at most supermarkets just won’t work for this recipe–don’t do it! Those cukes are too large, the skin is too thick, and they’re loaded with seeds. 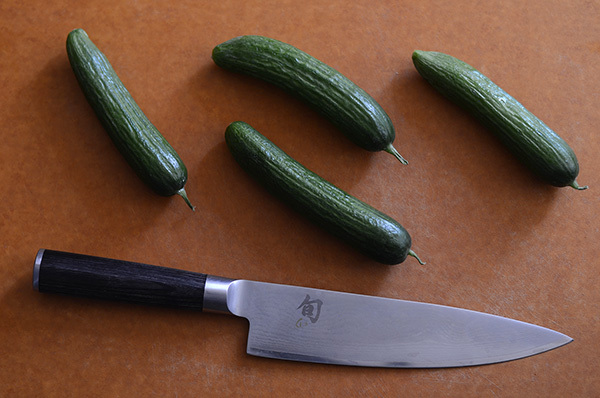 You want to go for Japanese cucumbers to do it right, otherwise Persian cucumbers do the trick. 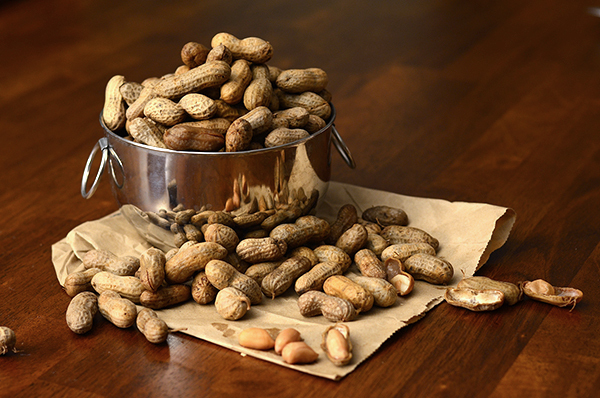 These varieties are crunchier, and have a thin skin you can just leave on. You won’t even need to remove the seeds, since they’re pretty much non-existant. I find Japanese cucumbers at my local Japanese markets, otherwise Trader Joe’s works for the Persian variety. 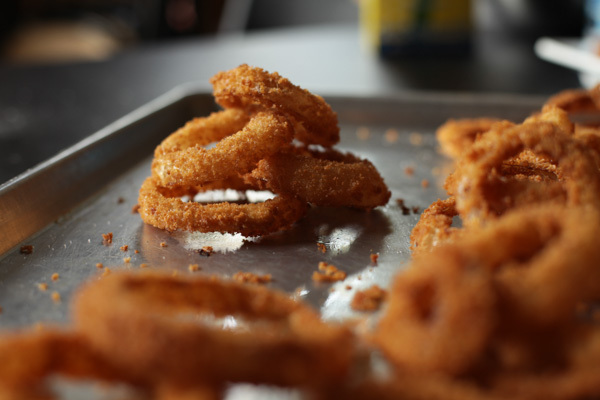 If you have a mandolin slicer with some cut-proof gloves you can make quick work of slicing these up. However, I usually just do it by hand. 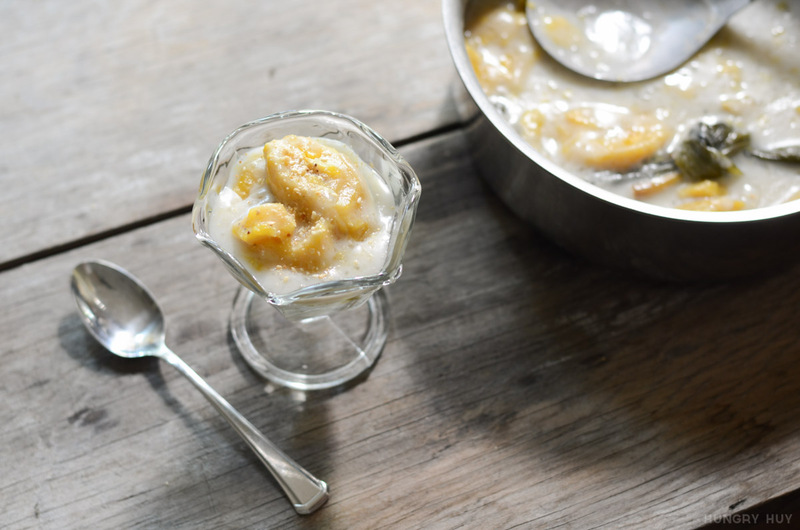 Make a double batch and save a second batch for the next day’s meal. You’ll be glad you did! 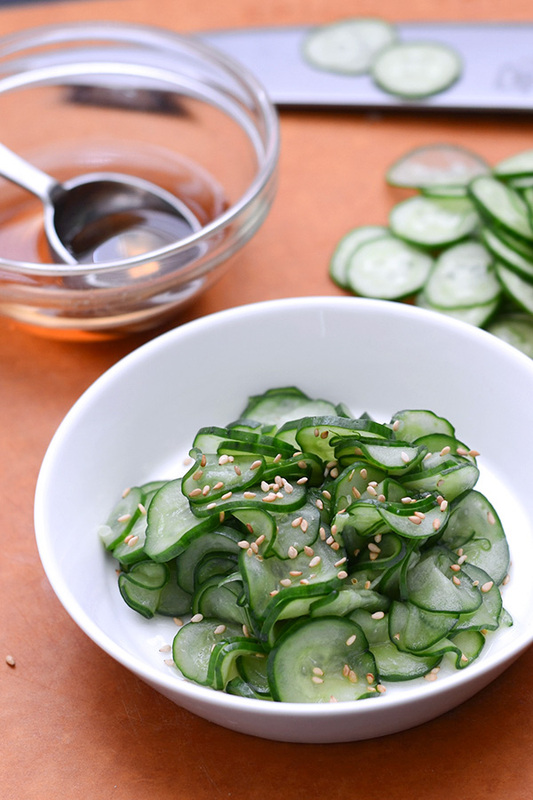 Mix rice vinegar, sugar, soy sauce until dissolved, then add to cucumbers. Yup, and it’s really easy to make too! I made this for a sake tasting i had this past weekend and everyone LOVED the salad. I used english cucumbers as they were more readily available to me than the Persian or Japanese styles. The English cucumbers worked perfectly too. I had some leftovers for the next day that were also quite delicious! 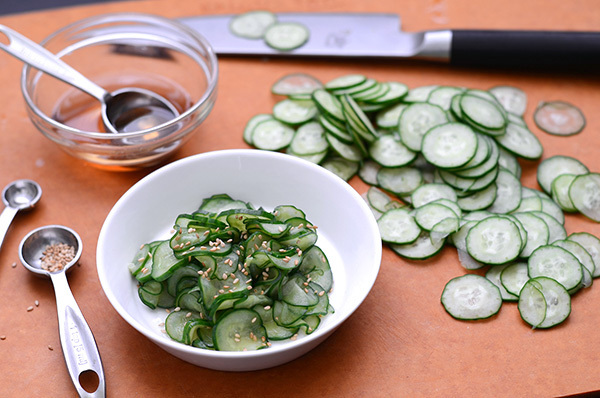 Thank you for sharing this healthy recipe and clever way to use cucumbers. Hey Deanna, that’s amazing to hear! This is such a simple one to make and thanks for the tip on the English cucumbers. I think they’re pretty similar and can be swapped when needed. Cheers!